MPAA Rating: PG for thematic elements, scary images, action and peril. Running time: 101 minutes. Released by Focus Features. Why the Laika animation studio isn’t a name on everyone’s lips like Disney’s Pixar is a total mystery to me. Since 2009, they’ve put out stunningly-animated films using a terrific blend of computer backgrounds and stop motion. 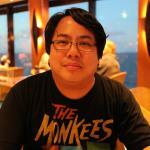 Don’t think Ray Harryhausen, though; think more lifelike, truly defined and smoother than Jason and the Argonauts. 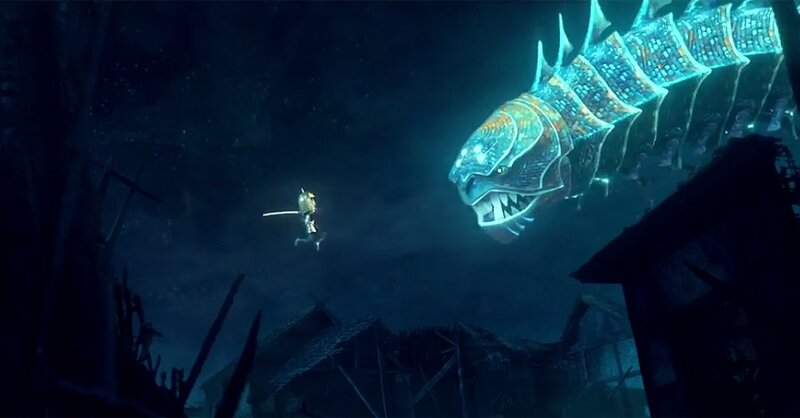 What also sets Laika apart from the rest – even from DreamWorks Animation and Disney itself – is the marriage of animation and dark subject matter, the kind not easily gussied up by anthropomorphic creatures or other formerly inanimate objects. Laika’s latest offering, Kubo and the Two Strings, is without a doubt the best film the studio has put forth to date, not to mention one of the best of films of 2016. Utterly alive and popping with rich themes and characters, Kubo and the Two Strings delivers on such a monumental level which makes the rest of this year’s animated competition – even Zootopia, which I saw and loved (but didn’t review) – look pedestrian by comparison. 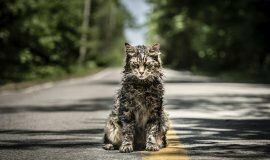 The film achieves this by boiling a standard adventure down to its most primal nature, then restructuring and elevating it above and beyond the unexpected with enchantment and powerful storytelling. By this, I mean that the story is deceptively simple. Kubo (Art Parkinson, most known to US audiences as Rickon Stark from HBO’s “Game of Thrones”) and his dementia-ridden mother have gone into hiding, only to be found by the people pursuing them. 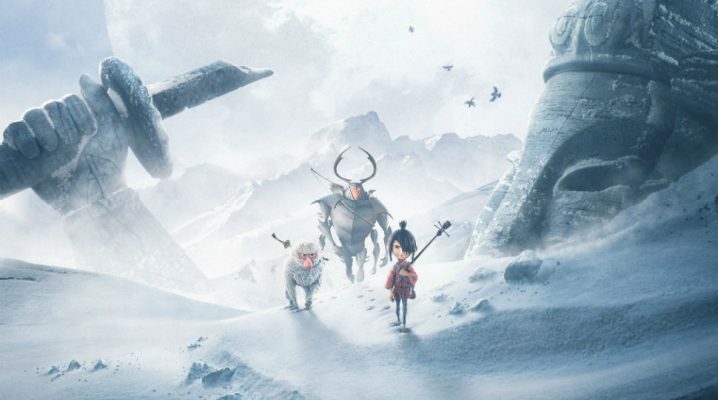 Custody of Kubo is transferred to the no-nonsense Monkey (Charlize Theron) and the brave amnesiac Beetle (Matthew McConaughey); all three of them endeavor to find a suit of magic armor formerly belonging to Kubo’s warrior father. The suit, called the Armor Impenetrable – consisting of a sword, a helmet, and a chest plate – is the only possible defense they have against the film’s villains, Kubo’s evil twin aunts (Rooney Mara) and his grandfather (Ralph Fiennes). At its most basic, these are the nuts and bolts of Kubo and the Two Strings. However, as with all Laika productions, what gets built upon those nuts and bolts winds up being an extravagant delight. We’re taken through stormy seas, mystical mountains, and underwater realms over the course of our story, with each environment boasting lifelike detail, astounding depth, and vivid color. You’ll see individual blades of grass ripple and sway in the wind, snowfalls and drifts which look impeccably rendered by both computer and physical animation, and all manner of other sights which will thrill, scare, and amaze. 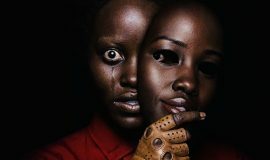 The film gets immediately dark with its subject matter, so consider carefully the choice to attend this film with younger children. 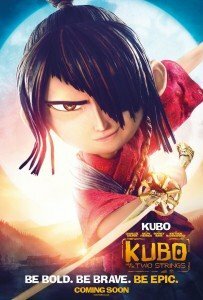 We’re told in the early goings about Kubo’s disfiguration at the hands of his grandfather; Kubo’s aunts are ghostly, ceramic-masked witches; one of the guardians of the Armor Impenetrable is a larger-than-life, blood-red skeleton; and all characters have to suffer the untimely deaths of loved ones and learn to live with their memories. There are even themes of dealing with mental illness which get touched upon in very gentle terms. Frozen this ain’t; we’re talking about harsh realities swathed in gorgeous animation. However, these adult elements are exactly the kind of obstacles Kubo must face if he is to complete his Hero’s Journey. And it is, indeed, every bit of the seventeen-step monomyth described by mythologist Joseph Campbell, brought to dramatic and stirring life in Laika’s indefatigable and inimitable style. 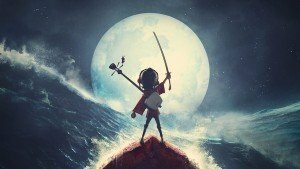 The film’s sensory output is astonishing, but even moreso is Kubo and the Two Strings’ final message of hope and love. It’s a wild ride packed with excitement, fear, resolve, and above all else, soul, wrapped up in a purely magical, delightful experience.